Our goal is to ensure a minimum amount of downtime for your hardware. Our knowledgeable technicians will be able to help you to quickly identify the parts you need. We have a large spare parts store on-site with a wide range of stock parts immediately available, so we can quickly supply you with virtually any drilling or piling spare or part you require. Though we carry 1000s of parts in stock, we also have close links with the after-sales departments of the other manufacturers we represent. 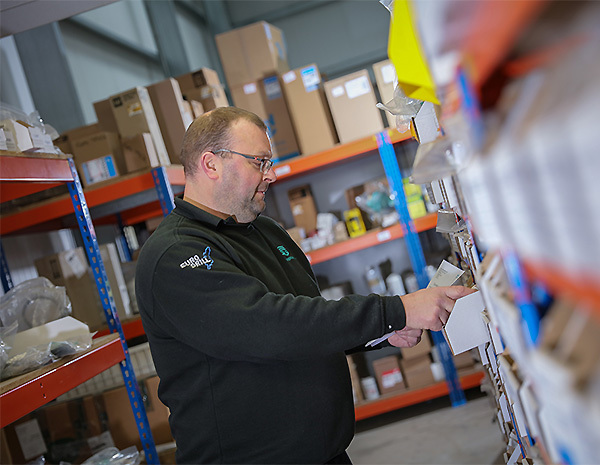 Our direct access to the spares stock and service expertise of these companies ensures your parts can be delivered to you in record time, in some cases we can despatch same day or next day. If you need to source drilling or pilling parts and spares, please contact us - we will be pleased to assist you in any way possible.